Smollett's team moved to allow cameras in criminal case proceedings. Empire actor Jussie Smollett attended a hearing in Chicago to determine whether cameras would be allowed in court for the criminal case following allegations that he staged the January 29 attack he reported to the police, NBC News reports. Smollett’s team did not object to cameras being allowed in court. On Thursday, a judge will be assigned to the case. That judge will then decide whether media will be allowed to participate in the trail during the case. According to NBC News, Smollett chose not to answer any questions that reporters shouted at him as he entered the courtroom. Last week, a grand jury indicted Smollett on 16 felony counts for allegations of filing a false police report about the alleged homophobic, racist attack that occurred in the early hours of January 29. Smollett received an indictment on 16 separate allegations made in the police report. Smollett originally told police that his attackers yelled that this was “MAGA country” during the attack. He claimed they poured bleach on him and put a noose around his neck. Police later arrested brother Abel and Ola Osundairo for the crime. 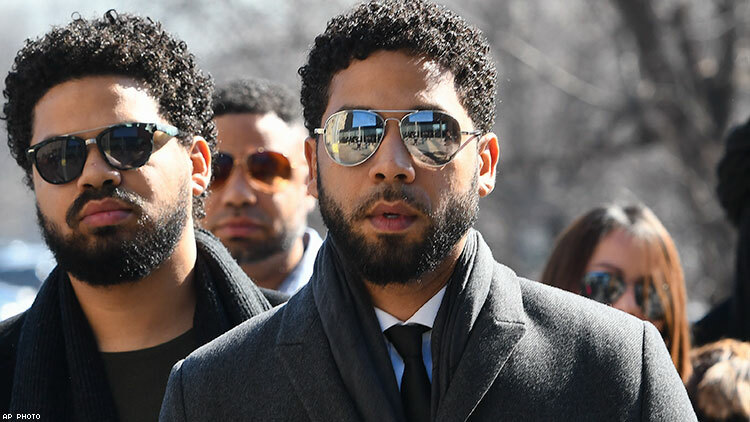 After interrogating them, Smollett became a suspect and police alleged that he paid the brothers $3,500 to carry out the attack.